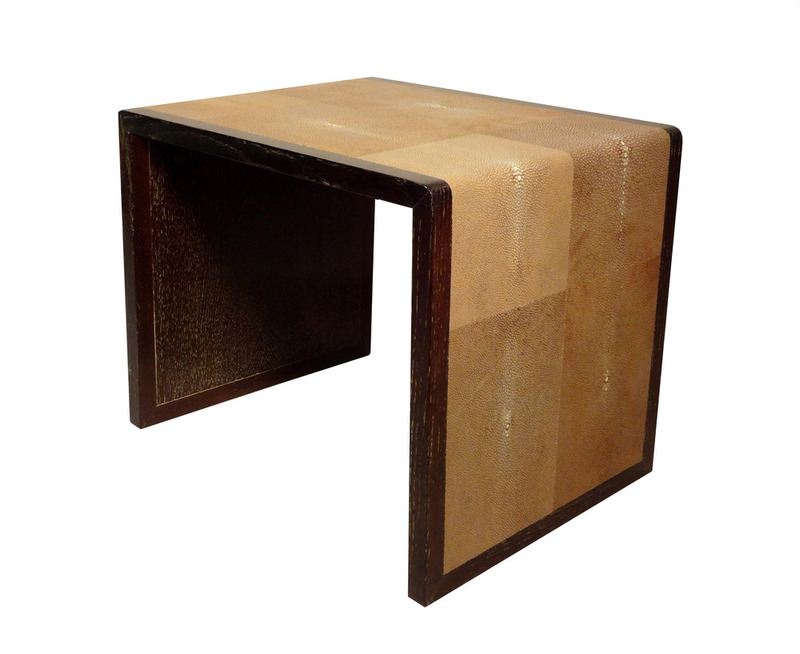 Dark Brown Cerused Oak Frame covered in Genuine Custom Color Shagreen. Dimensions: 21"L x 16"D x 17.25"H.
Please complete form below for additional information. *Provide desired quantity and special shipping instructions, if any, in "Message" box. Thank you! We will contact you shortly. Processing time for orders placed on Monday - Thursday is typically 2 -3 business days. For orders placed on Fridays or Holidays please allow the next 2-3 business days for processing. If you have not heard from us after this time frame please contact us at 631-996-2730. All sales are final. Items cannot be returned or exchanged.